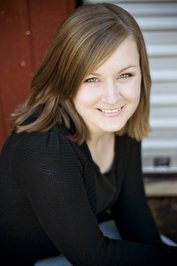 Slayer by Kiersten White is the first book in the new young adult paranormal fantasy Slayer series. 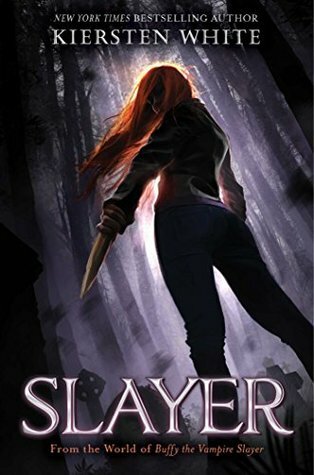 This series is a spin off and takes place in the same world of Buffy the Vampire Slayer after Buffy’s time when a new Slayer is chosen as she begins to come into her powers. Nina and Artemis are twin sisters that have grown up in the Watcher’s Academy and couldn’t be more different from one another. Artemis has always been the strong and dominant twin training to become the best of the best of the Watcher while Nina has always been the bit of an outsider finally finding her place at the academy as a healer. However, when a hell hound attacks Nina and her friends she quickly dispatches of the demonic beast to the amazement of those around her. Nina finally admits that she has felt different for the past few months and it becomes obvious that Nina has been chosen to become the next Slayer gaining all of the abilities that come with the job. In my opinion Kiersten White has done a wonderful job balancing this new series with the iconic feel of the Buffyverse and inserting in her new characters and situations to continue the story. The book really can be read by anyone whether they were a long time fan with that same feel of the old or whether a new generation of fans who were never caught up in the original. There was just enough explanation of the world to allow new readers to be comfortable with the new characters and their story but also to set the stage of the classic for those that remember that feel too. Other than a few slow parts this one was a lot of fun and I’ll be looking forward to seeing what is in store for the twins after the cliffhanger of an ending.